“Life is a Carnival: A Tribute to the Band” is a musical collaboration you won’t want to miss. “It’s a collective concert between 24 musicians,” says Eric Dunn, bassist for Velvet Caravan of Savannah. “This is the second year we’ve done the concert. When: 7:30 p.m. Nov. 25; doors open at 6:30 p.m.
Set for Nov. 25 at the Lucas Theatre, the concert will feature The New Familiars from Charlotte, N.C., as the house band, joined by local musicians. The Canadian-American roots rock group known simply as The Band is legendary. It originally consisted of Rick Danko, Levon Helm, Garth Hudson, Richard Manuel and Robbie Robertson, all — with the exception of Robertson — multi-instrumentalists. One by one, they joined rockabilly singer Ronnie Hawkins’ backing group, The Hawks, between 1958 and 1963. In 1964, they left Hawkins and toured as Levon and the Hawks and also The Canadian Squires. After supporting several frontmen and always being referred to as “the band,” they chose that name when they became a solo act, first performing officially as The Band in 1968. Dylan continued to collaborate with them, including a joint 1974 tour. In 1983, The Band resumed touring without Robertson, who had become a successful solo artist and music producer. Manuel committed suicide in 1986, but The Band continued to tour and record with other musicians. The Band broke up for good in 1999 after Danko died of heart failure. Helm had been diagnosed with throat cancer in 1998, but continued to perform and record until his death in 2012. In 1989, The Band was inducted into the Canadian Music Hall of Fame, followed by the Rock and Roll Hall of Fame in 1994. In 2004, Rolling Stone ranked them No. 50 on its list of the 100 Greatest Artists of All Time, and in 2008, The Band received a Grammy Lifetime Achievement Award. The Band influenced numerous other groups, songwriters and performers, from the Grateful Dead to Eric Clapton, George Harrison, Led Zeppelin, Elvis Costello, Elton John, Phish, Pink Floyd and Crosby, Stills, Nash & Young. 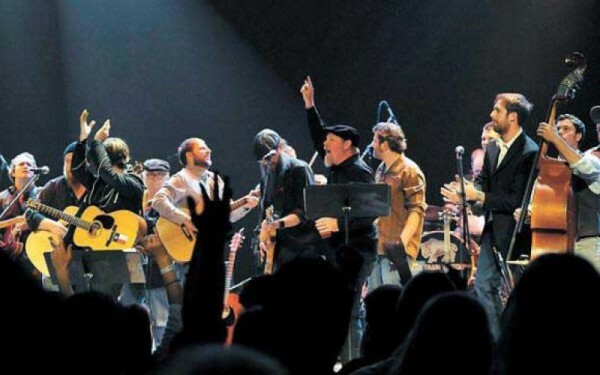 Contemporary groups inspired by The Band include Counting Crows, The Wallflowers and The Black Crowes. The New Familiars opened for Helm in one of his last performances. “He was a super nice guy,” Dunn says. “When he passed away, The New Familiars wanted to do a special concert paying tribute to him. They invited The Train Wrecks to play … It’s a super fun, awesome time. The Train Wrecks returned to Charlotte and were joined by fellow Savannah band The Accomplices in 2013. The Helm tributes were so successful, local musicians decided to host their own tribute to The Band in 2014. It featured The Train Wrecks and The Accomplices and was so successful in its own right, it is being repeated. Coming with The New Familiars is their horn section, The Midwood Horns. “The concert is going to last two hours,” Dunn says. “There will be some different songs; some are the same songs as last time, but most importantly, these are different players. Some of the participating local musicians are Paxton Willis of Kota Mundi; Patrick Carroll and Kenny Murphy of Les Racquet; Dunn, Jared Hall and Sasha Strunjas of Velvet Caravan; Kevin Rose of GAM and Superhorse; Ray Lundy of Bottles & Cans; Stan Ray and Matt Eckstine of The Accomplices; Jason Bible of The Train Wrecks; Ben Keiser of the Ben Keiser Band; and many more. Nov. 25 is the anniversary of “The Last Waltz” concert. “So this is a great time to have a concert,” Dunn says. “The Band did a farewell concert on Nov. 25, 1976 … We decided to do it in Savannah and invite a lot of special guests to come up and play. Members of The Band would likely appreciate the tribute. “I don’t think they put out a bad song,” Dunn says. “It hits home to both an older and younger crowd, too. It’s perfect for Thanksgiving.